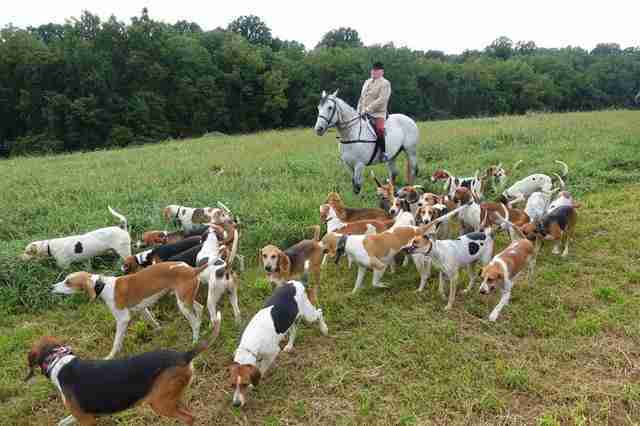 For years, the hounds had only one purpose — to chase down foxes. 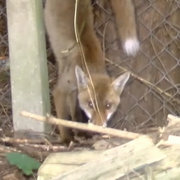 They were owned by a fox hunting group, which didn’t kill the foxes but still chased them in an effort to preserve traditional hunts. 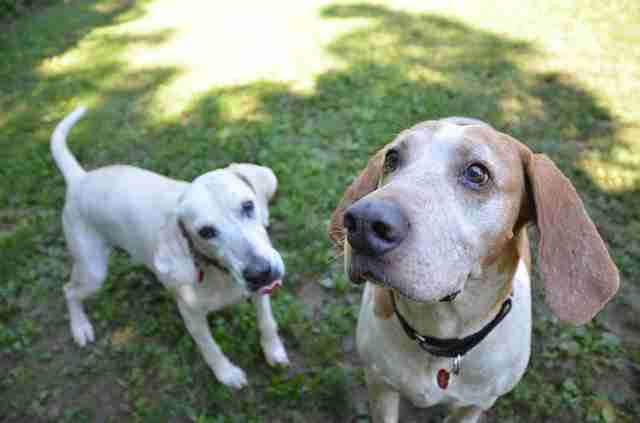 When the hounds weren’t being used, they lived in small, barren kennels floored with sawdust — they didn’t have any beds or toys, and rarely had human companionship. 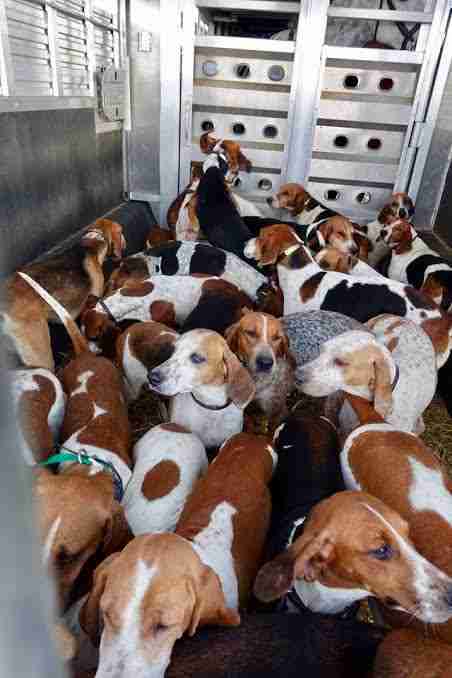 But this May, the lives of 23 hounds changed forever. When the hunting club, which was located in Pennsylvania, decided to downsize, it approached Main Line Animal Rescue (MLAR) and asked if it would take some of the retired dogs. The hunt club didn’t have particular dogs in mind to surrender — instead, it invited Stewart and another staff member from MLAR to the hunt club to pick out the dogs themselves. 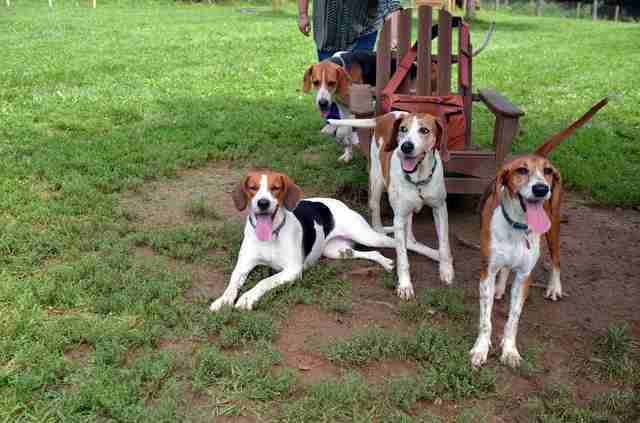 With a grant from The Grey Muzzle, an organization that helps save senior dogs, MLAR was able to take home seven retired hounds on its first trip to the hunt club. After about a week, they were able to take a few more. 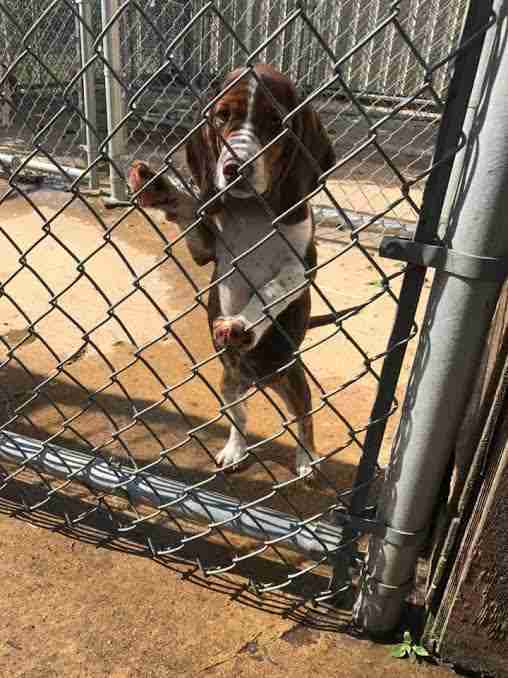 The next week after that, they took even more, eventually bringing the total of rescued hounds to 23. 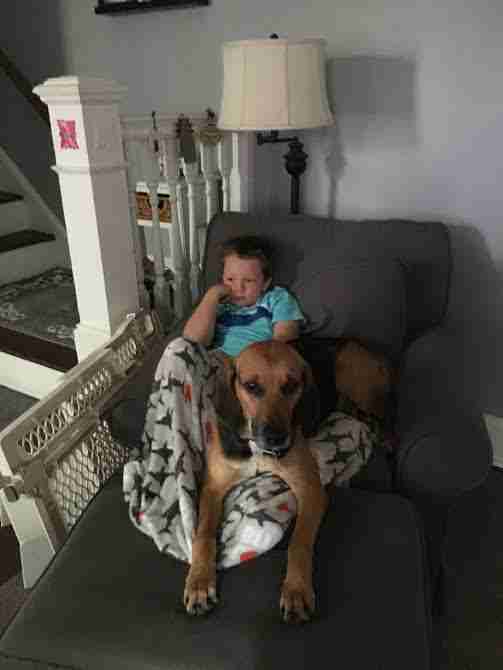 While MLAR was determined to take in as many hounds as possible, they weren’t sure how these dogs, whose sole purpose had been to chase foxes, would fare in homes. But Stewart and the others at MLAR quickly realized they had nothing to worry about. “All of the dogs that we brought in seemed to have this immediate realization of, ‘OK, I’m not here for the purpose of doing a job anymore. I’m here to get petted and get treats. They just want me to be a happy dog,’” Stewart added. 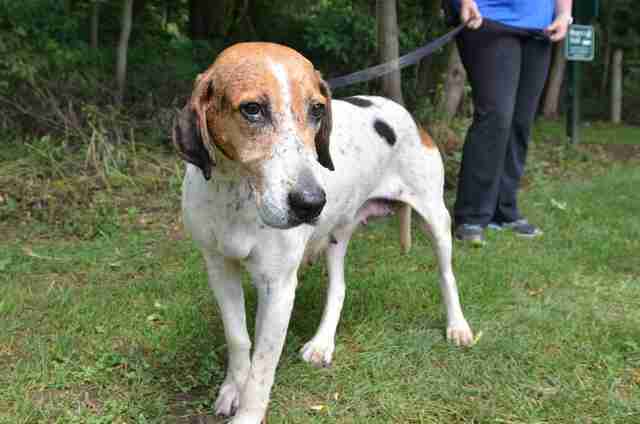 One hound named Defender had a particularly remarkable transition. But with a little love and attention, Defender transformed into a different dog. 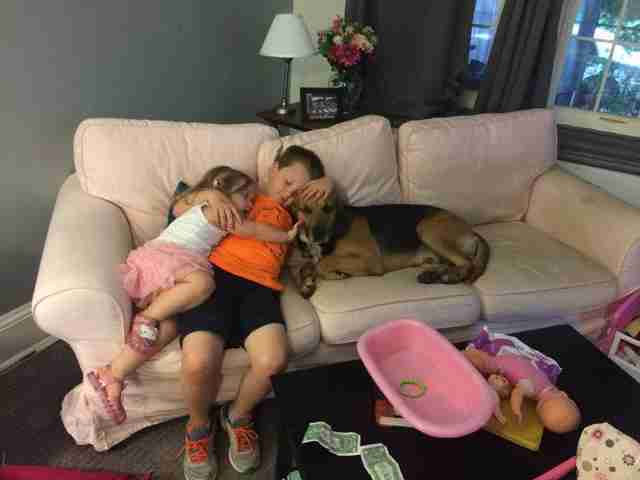 After shedding some weight, Defender gained something much more appropriate — a forever family. But when the staff at MLAR brought out the puppies, the girls didn’t connect with them. So Stewart decided to show them Defender, even though he was a senior dog. 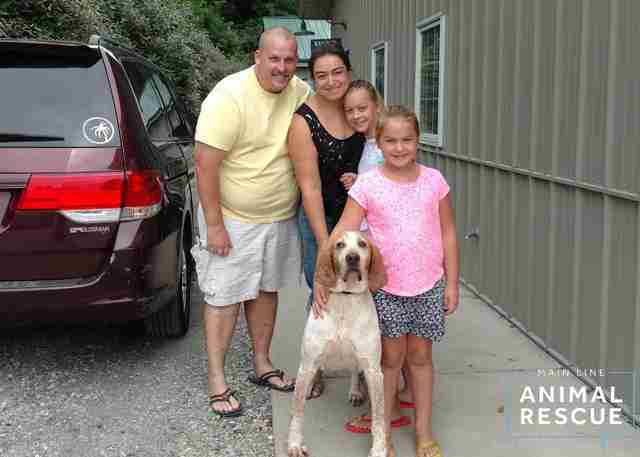 Another hound who found the perfect family was Bookman. 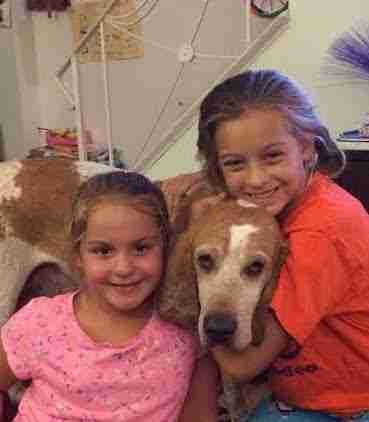 Not only do the former hunting hounds seem great with kids — they’re also fine with cats, Stewart discovered. 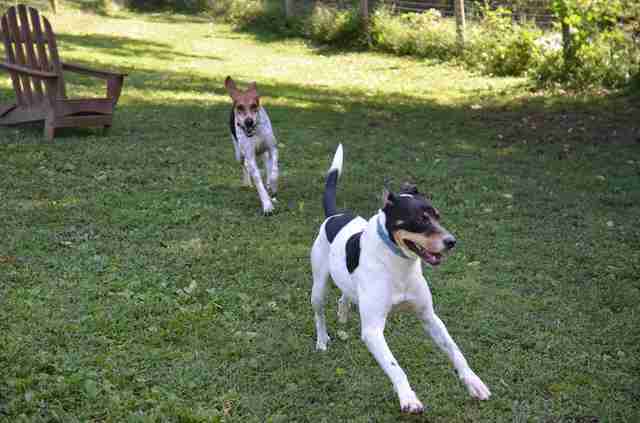 The rescue and rehoming efforts for these 23 hounds were so successful, Stewart hopes that the hunt club will eventually surrender more hounds to MLAR — and that these dogs can learn what it’s like to be in happy homes. 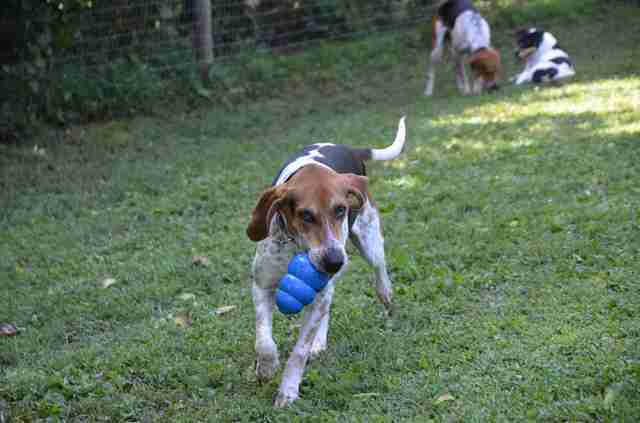 To help MLAR retire more hounds from hunting clubs, you can make a donation.